Hair loss is a problem not only men suffer from but also women do. Various recent studies show that hair loss has become very common nowadays. This has led to the search for various methods of reducing, preventing or treating the problem of hair loss. Alopecia: when women lose their hair in one area or in several areas of the head. 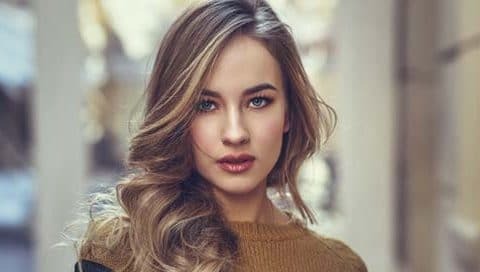 Studies indicate that alopecia caused by tension is the most common cause of hair fall in women; that is to say, the tension by intense hair styling, ironing hair, etc. Another type of alopecia is of autoimmune origin and is considered the most dangerous type. The question now is what can you do to treat your hair loss problem? In the beginning, women suffering from the problem of hair loss should consult a dermatologist or hair transplant specialist to find out the cause of hair loss, and then initiate treatment. As mentioned above, caution should be exercised against the arbitrary and uncontrolled use of drugs and treatments for scalp and hair. Apply a massage to the scalp in a light and regular way to activate blood flow in the scalp. Some natural oils can be used during applying the massage such as coconut oil, olive oil, almond oil, flaxseed oil, Flax seed oil and castor oil. Neem herb, cactus, hibiscus, and others. Hair transplantation with advanced FUE hair transplantation technology: with a 100% success rate and no damage to hair follicles as long as they are not touched. A combination between non-surgical medical treatment and hair transplantation.